On a road trip, I was traveling around Alberta. 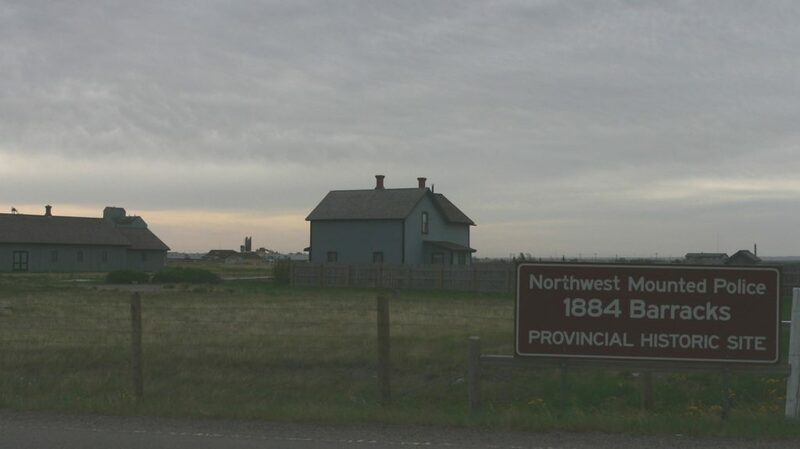 In that province, is Fort McLeod, the site of the first Canadian Mountie fort. I wanted to pay my respects, on my grandmother’s account. As I drove and drove toward Fort McLeod, I felt as though I was on a pilgrimage. On arrival, I found the fort was closed. I walked around the town feeling disappointed but cheered up a bit when a shopkeeper agreed to take my photo next to the wooden Canadian Mountie outside his shop. I stayed in McLeod overnight. The next morning, I was telling the motel owner that my nonsmoking room smelled of smoke. He told me how Native Americans in the area burn a bit of rope in the morning; he said that in the winter, they would burn it inside the motel rooms no matter how much he told them it wasn’t permitted. We chatted some more. When I told him what had brought me to town, he told me that the true historical site of the first Canadian Mountie fort was just outside of town; he said the fort in town was just a reproduction and a tourist trap. Saved by Providence! I set off with his directions and much hope. I found it! It was chilly so I bundled up before getting out of the car. In a frost covered clearing, a six-sided wooden structure showed the fort’s original outline and included one original wall. A Sergeant’s house sat in the middle and had been reconstructed according to the original building’s specifications. The scene definitely could have used some bright red uniforms. But I suppose the cold, desolate look was more emblematic of what it must have been like for the men working at this first fort. Museums in Alberta said the Canadian Mounties would stop American forces crossing the border to sell whiskey to the local tribes. Not only did they save those communities from drinking themselves to death, but they also freed my grandmother from the confines of a farmhouse. 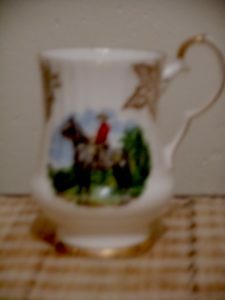 At the end of the day, I raised my glass to the Canadian Mounties and pictured my grandmother dusting her china cup.